Before Guide was released, the Information and Broadcasting ministry had to be convinced that it would not create any disturbance—perhaps even a riot—for portraying women with questionable morals and compromised affiliations. Such was the nature of the film. Even now, at a time when the on-screen portrayal of passion, whether aesthetic or not, is at its peak, the idea of an Indian wife ‘betraying’ her husband seems somewhat unacceptable. 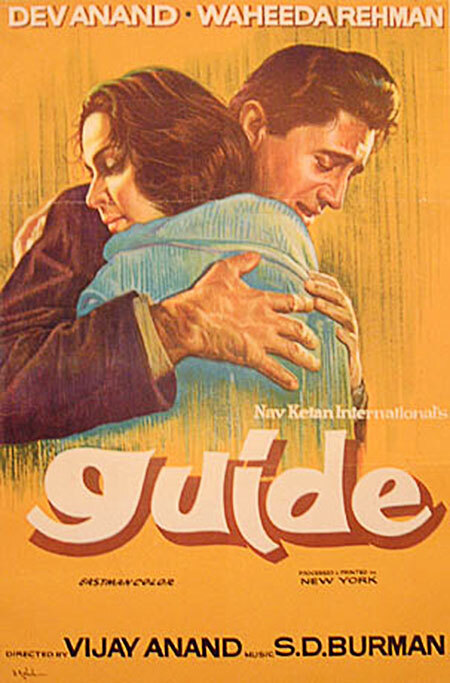 Guide, as a film, was daring enough to traverse conventional boundaries and present to its viewers a slice of life of a maladjusted lover. Early on in the film, Raju, played by Dev Anand, after being released from prison, stands at the road, looking at the two paths: one that leads to his city, and the other to an unknown village. His dilemma is confounding—so is an attempt to understand the rights and the wrongs in the film. Not only is the film ambivalent in dealing with vices such as adultery, immoderation, greed, and jealousy, it is also liberal in portraying socially unacceptable ideas. Although the plot of the film is a mélange of several themes—emancipation of a subdued wife, the pursuit of one’s dreams, a moral rags-to-riches epiphany, Raju’s transformation from a fallible human being to a sadhu—the film is to be best viewed as a love story that involves imperfect lovers. The inescapable snares of love and passion do not spare Raju, who, out of kindheartedness and, eventually, love, sacrifices everything for Rosie, played by Waheeda Rahman. It is in this ‘falling’ that the seeds of Raju’s misfortune and subsequent redemption are sown. The moment Raju and Rosie meet, there is uneasy feeling that one gets about the prospective romance. He saves her, only to get destroyed in the process. Unlike Abhimaan, where an explicit display of one man’s crushed ego causes the relationship to turn sour, in Guide, there isn’t an out-and-out ego clash between the unlikely lovers. But the fame of Rosie does seem to have an effect on Raju, who later seems to be sidelined as a subservient sidekick, only to make him cross the thin line between appreciation of another’s success and being jealous as a result of it. Engrossed in observing the downfall of a somewhat jilted lover, one would find it surprising that his moral and spiritual high-point is about to be achieved soon. As the film progresses, despite his misdoings, one tends to sympathise with Raju, and feels sorry for his pathetic fate that, despite his noble intentions, puts him in prison. Even at this point, to think of the moral pinnacle that Raju is about to achieve, would be overly sanguine. It is in moments such as these, that one realises that Raju’s hardships aren’t meant to be lessons of the kind that dissuades one from being selfless in love. They are meant to be the fire that tempers the soul—like steel. Of considerable interest is the change in Rosie’s demeanour—from a helpless, ignored, and suicidal housewife to the success-affected, dispassionate, and focused artist. She too, like Raju, rises and falls, but from the film’s standpoint, she merely does so to let Raju unintentionally attain the moral heights of sacrifice and selflessness. It is quite a struggle to conclude the degree to which characters falter, assuming they falter at all—even the minor ones. Raju’s mother, for example, forsakes him only because she thinks that her son has befriended a nautch girl. It can be claimed that this reflects poorly on her, but she, as an older woman, would have her reservations about a woman who has left (or has been left) by her husband. The same goes for Raju’s friends—they should have stood by him while he was furthering his own interest, along with Rosie’s. Instead they chose to turn their backs on him—but that is one way of putting it. It can be argued that that was their way of making him realise how troublesome things could become with an outcast woman. All in all, there are sufficient grounds for ambivalence throughout the film. Towards the end, when Raju refuses to discontinue his fast despite his failing health, his blind devotion to a cause is a symbolic atoning of his sins. Even though others consider him to be a sadhu, he himself cannot deny the fact that he, like everyone else, is a common man. His evolution as a human being, though dramatic, is befitting for the climax of a film which is essentially a love story—even one that is strewn with unlikely events. An impeccably artistic shot of Raju talking to his alter ego—in which his alter ego literally succumbs to his newfound principles—is a back-and-forth conversation between the new Raju and the old. The conversation ends with Raju telling his alter ego that it doesn’t exist, and it slowly gasps for breath before dying. Raju dies too, shortly, and with his death the much-awaited rain pours, to the joy of his followers. But to call it death would degrade the salvation that the character achieves. This death, really, is a rebirth that the character experiences only for a few moments, to realise that he has been freed of all his improprieties. Westerners (audiences and critics alike) have criticised Indian films for using songs as fillers, as something meant merely to entertain the front benchers. But take the songs away from this film and you remove its soul. Every song has a thematic reference and a meaningful context to it. The lyrics too are in sync with the plot and mood of the lovers. After the suicidal Rosie has found her new friend, who induces her to follow her passion (dancing), she sings “I want to live again” (translated); the melancholic Raju laments in a song that translates to “What have I become?” The songs are well placed, and are as important to the film as the plot itself. 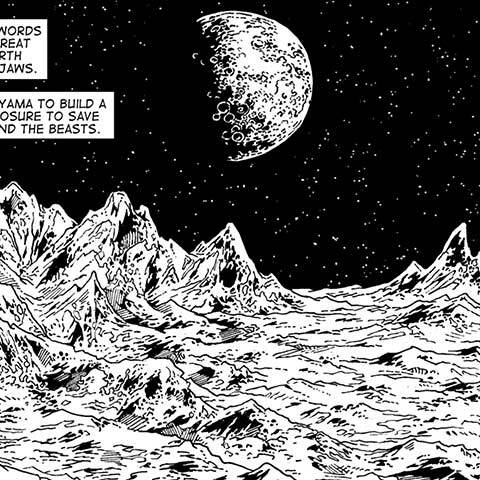 My personal favourite, though, is not romantic, or gloomy. It is philosophical—sung by S. D. Burman himself—and tells us not to depend too much on others. And that, possibly, is one of the many lessons of the film. Films and their reviews are captured by critics galore. Taking a shift from the usual extolling and castigation, ‘Cinephilia’, a new fortnightly column on films, contains essays, notes and other reportage on films. This is a column for film enthusiasts, by a film enthusiast. An avid reader, intense writer, and cinema afficionado, Yayaati Joshi is not the typical office-goer. He is a keen observer, who prefers quiet evenings and the company of close friends. Read his blog at rantingsofadelusionalmind.wordpress.com.